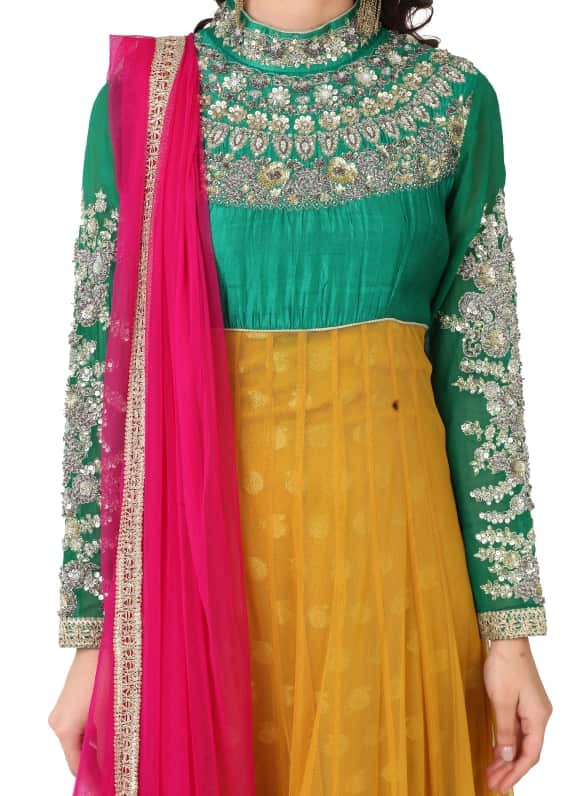 This dual toned yellow anarkali comes with a contrasting green bodice with zari and sequins embroidery. It is paired with a hot pink dupatta. Wear this stunning dual toned anarkali set for a mehendi ceremony and complete your look with a pair of Maithilli Kabre earrings and a statement Alana clutch.